Shalimar Souffle de Parfum is essentially about three things; citrus, white flowers and vanilla. As far as fragrances go, it’s pretty linear, so all cards are laid out on the table right from the outset. Citrus is of course, the first thing one notices. Here, the bergamot and lemon are dealt with in a subtle manner, crackling softly in dewy sharp tones whilst melting seamlessly into a bed of vanilla. The vanilla itself is the plush kind that feels almost chewy in texture. In terms of its odour profile, the vanilla is sweet, but not in a cake-y way. It comes across as transparent and almost aqueous rather than thick and fluffy. Linking the sharpness of the citrus with the soft and almost tropical quality of the vanilla is jasmine. The white flower appears here in strands of waxy and rubbery warmth that tie everything together. Jasmine in full bloom is hot, citrus-like and dewy, with vanilla facets, so it’s understandable that it is used as the glue at the heart to cement everything together. It also adds a subtle peppery undertone that accentuates the soft glowing spices that are muted within the vanilla. Reading back on my earlier paragraphs, I feel as if I’ve been a tad harsh on Souffle de Parfum. I stand by the fact that I don’t feel the Shalimar link is clear enough, or necessary for that matter, but taking it in isolation without the weight and the history of the Shalimar name hanging over its head, I actually enjoy it, not enough to spring for a bottle, mind you. In summation, Shalimar Souffle de Parfum is a fragrance that I would call ‘comfortable’, and the simplicity of its floral-citrus-vanilla signature is perky and likeable, just not overwhelmingly so. 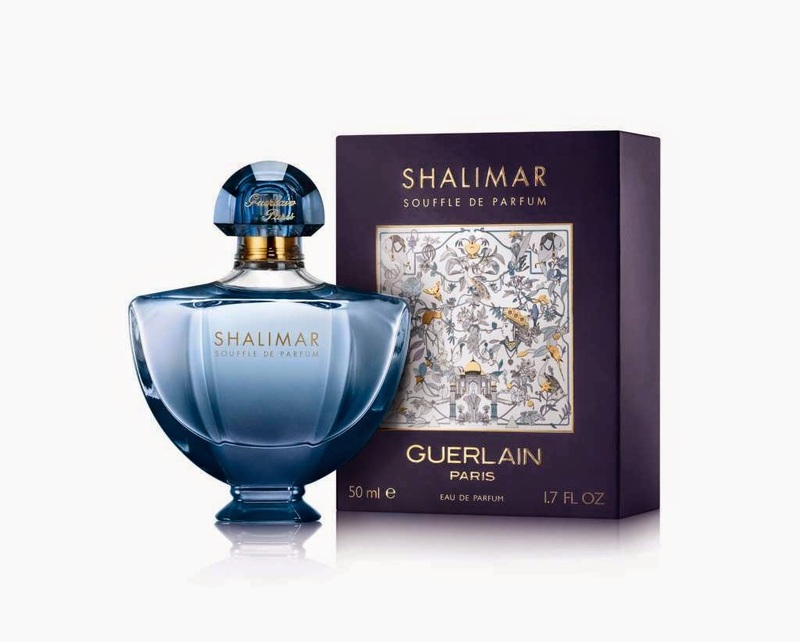 Shalimar Souffle de Parfum is available in 30ml, 50ml and 100ml Eau de Parfum. Thanks to Tara for the sample. Image 1 via Fragrantica. Image 2 via olfactory.blogspot.com. ¹ via Persolaise. ² and notes via Guerlain. Posted in Citrus, Feminine, Flanker, Floral, Guerlain, Perfume Reviews, Vanilla and tagged Citrus, Flanker, Floral, Guerlain, Perfume Review, Shalimar, Shalimar Souffle de Parfum, Souffle de Parfum, Thierry Wasser, Vanilla. Bookmark the permalink. It’s a sin to call this Shalimar. It’s way too citrusy for my liking. Perhaps, like you said, if it were called something else and released as a separate perfume altogether I wouldn’t dislike it as much as I do. I think if it was something else entirely, an Aqua Allegoria perhaps, it would be received better. I agree. It’s not a bad perfume for what it is. They need to stop with the flankers for poor Shalimar. She deserves better. That sounds interesting! Though not a huge amount like Shalimar….